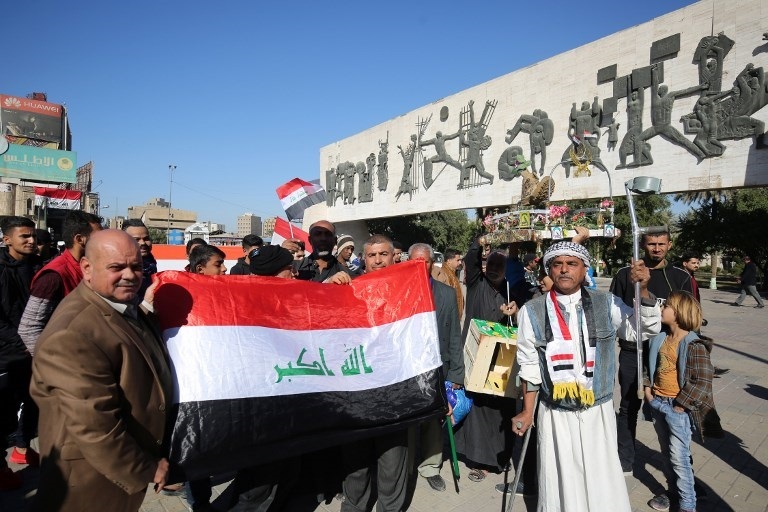 BAGHDAD (AP) — Iraq on Monday celebrated the anniversary of its costly victory over ISIS, which has lost virtually all the territory it once held but still carries out sporadic attacks. He commended the security forces as well as Iraq’s top Shiite cleric, Grand Ayatollah Ali Sistani, who issued a fatwa, or religious edict, mobilizing volunteers after the armed forces collapsed in the face of the ISIS onslaught in 2014. Tens of thousands of volunteers joined an array of state-sanctioned militias, many of them backed by Iran. “That fatwa will be a bright spot in the history of this country and the people, from whom the decisive response started, laying the foundations of the victory,” Abdul Mahdi said. He called on Iraqis to renounce their differences and to come together for a better future. “The time has come to leave behind all the past mistakes and conspiracies to open the doors of hope for our children for a better future,” he said, vowing to rebuilt the demolished areas and help displaced people to return to their homes. The Islamic State group, which traces its roots back to the insurgency that followed the 2003 US-led invasion, swept into Iraq from neighboring Syria in the summer of 2014. It carved out a self-styled caliphate across a third of both countries, imposing a harsh form of Islamic rule and massacring its opponents. The group abducted thousands of women and girls from the Yazidi religious minority and forced them into sexual slavery. Iraqi forces aided by a US-led coalition eventually drove the group from all the territory it once held in Iraq, including in the climactic battle for Mosul, the country’s second-largest city. ISIS still holds a small pocket of territory in Syria, near the Iraqi border.